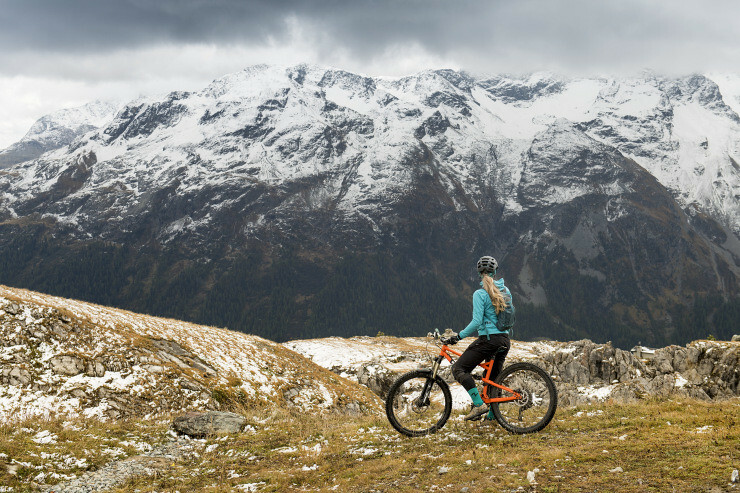 New brand ambassador Kelly-Jayne was lucky enough to win an incredible prize with BMW Mountains... She tells us all about it in her blog post. So, for the first time ever, I entered a competition. 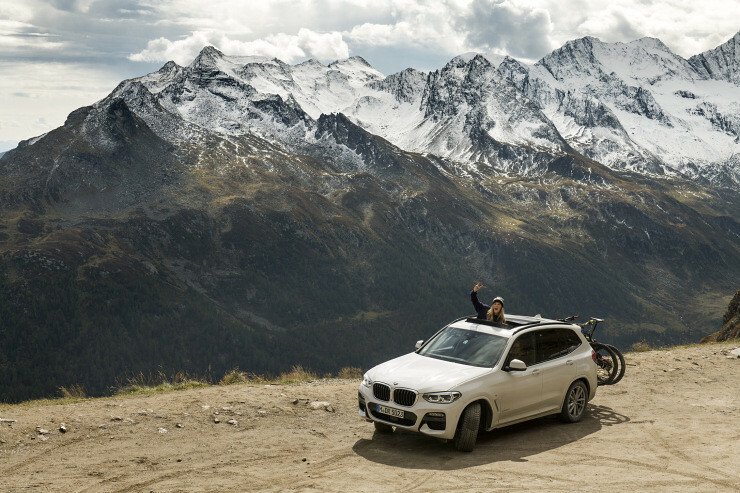 After scanning Instagram on the way home from our roadtrip in the Alps and seeing that Hannah Barnes had ridden Nauders (mine and Aiken’s favourite place we visited) for a BMW Mountains Mission, I stumbled upon a competition where you had to complete your own ‘mission’. The prizes on offer included a Garmin, an Evoc bag and just this all expenses paid road trip for you and a +1 with Hannah Barnes and Martin Söderström… I thought, well, I highly doubt I’d ever win the road trip but I could do with a Garmin, and Evoc bags are pretty sweet. My mission was to ride 20k with 1000m of climbing. Easy peasy lemon squeezy. I took on my mission, took a selfie as proof with a screenshot of my ride on strava and sent it across to BMW Mounatins. And that was that! I’ll be honest, after that I completely forgot about it and got on with my life. I received an email Monday 11th September from BMW Mountains informing me that the competition entry was closed and the winner of the prizes and road trip would be announced ‘TODAY’. I didn’t hear anything after this and assumed I hadn’t won (better ask Aiken for a Garmin for Christmas). The following day, I was sitting having a brew with my grandparents and I got some pretty ridiculous news. "CONGRATULATIONS - YOU ARE THE GRAND PRIZE WINNER"
HOLY MOLY. I’ll be honest, to my grandparents dislike, I swore quite a lot and was very(x10000) shocked that I’d won! The road trip would start on the 18th September, in 7 days… (serious?). Aiken and I were in complete disbelief and were sure that it was a scam, and didn’t believe it until we got our flight times on the Sunday night! As if it couldn’t get more exciting, the day before our road trip, Bell (FYI my beautiful dog) and I met Richard Baybutt, ‘photographer, mechanic, daft ideas person’ from Cotic and his dog Otto at the Hemlock Trail Association for a ride and chat about all things bikes. 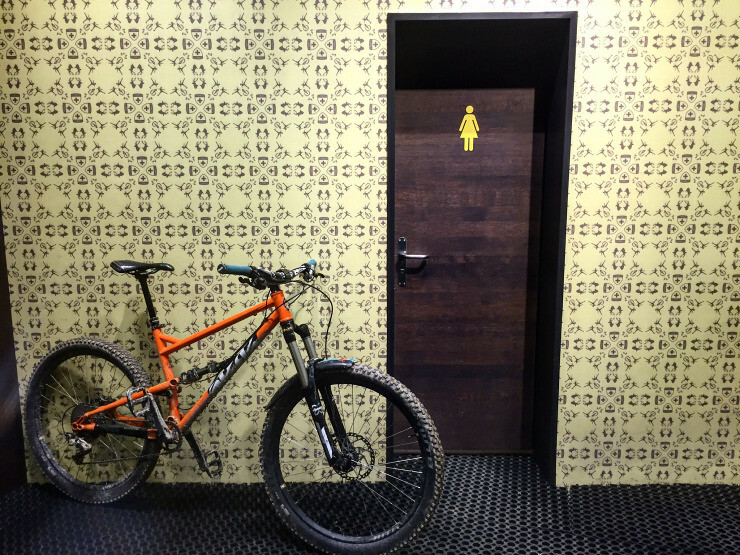 After drooling over Cotic Bikes for a while I took myself on a Cotic demo day back in June at Lady Cannings and tried out all the bikes and settled on the Rocket as my favourite. So as an already massive fan of the Rocket I was super stoked to be out riding on one again. Amazingly, I was offered the role as a Cotic Ambassador and was given a Rocket for my trip (could things get any better?!). So absolutely buzzing, we flew into Munich. Collected at the airport by Moritz, a super friendly intern from BMW Mountains who dropped us off at Arthotel Ana. That evening we took it easy after the days travelling, had some pizza and a rest before our 6 day road trip began. Day 1 We met a very friendly Hannah and Martin in the hotel lobby, and headed over to BMW Welt where we met Tuuli- our go-to-gal (for all things road trip related), photographer Jan Kasl and the film crew (FullFace Productions), who would be following (stalking) us on our road trip. After a Tour of all the fancy cars and some history of BMW, a very fancy lunch, I was then, (to my surprise) handed over the keys to a VERY fancy new pre-production BMW X3 for our road trip. After an awkward bit of filming where I had to talk to the camera for the first time, (if anyone else has experienced this before, my god it’s hard work!!) we all packed up, and headed off to our first stop- Hotel Staudacherhof in Garmisch-Partenkirchen. A trip to the spa followed by a tasty 6 course Oktoberfest meal, and we were ready for some sleep! Having never ridden an E-bike before, I was quite looking forward to giving the BMW Specialized E-bike a go (even though I had a very exciting Rocket waiting for me). We met our very friendly guide Alex, picked up our bikes and headed off up to the Eibsee! he ride wasn’t quite how I remembered it… Although the beautiful scenery was familiar the climb was quite different- delightful, sociable and required zero effort. Also, I must not forget to mention, it went A LOT faster. Before we knew it we were greeted with an awesome rocky descent after a fantastic feed at the Hochthörlehütte. Now not only were these E-bikes, they were ‘fatty’ E-bikes. Made for an interesting descent! After the ride we headed to the hotel Spa for a quick dip and back on the road to our next destination in the swanky X3; Hotel Die Berge, Solden. Day 3- What a place! We met with our new guide for the day- Lienke (a very nice and impressively fast guide from Bike School RIDE-ON). Finally time to get the Rocket out! Some mega faffing and bike building before we all headed up the chairlift to Sölden Bikepark (a.k.a Bike Republic Sölden). Such an incredible place. The views were spectacular and trails even more so. Super flowy fast fun desents, immaculately groomed and maintained, and so well crafted all made even more fun on the Rocket! 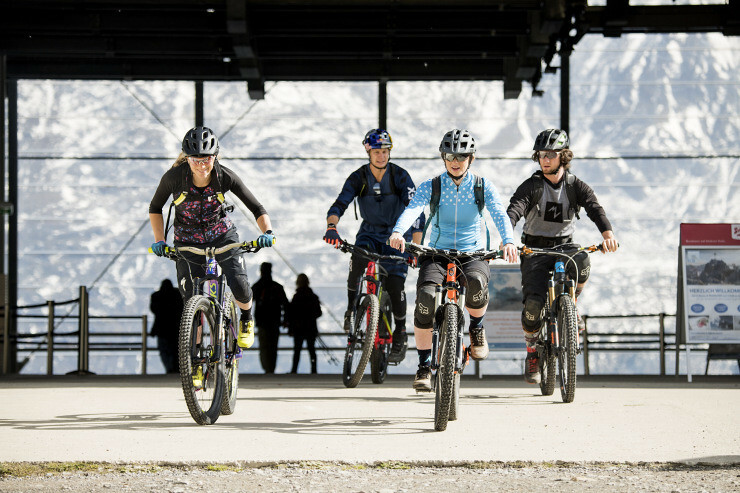 Sölden is on our list of places to go back to next year for sure! Day 4- No bikes today, instead we went on a ‘driving experience’ over the Timmelsjoch and Julier passes. As far as driving experiences go… it was pretty cool! After what felt like a million hours of driving we made it to St.Moritz and to the very fancy Hotel Hauser. (If you wanted, you could have a pillow case stuffed solely with pine shavings for reasons I just don’t know). We had yet another spectacular meal at their restaurant and met our super cool guide for tomorrow’s ride, Dave Spielmann from Allaboutmtb. Day 5- St.Moritz (you beauty). It was FREEZING. But the views were spectacular. 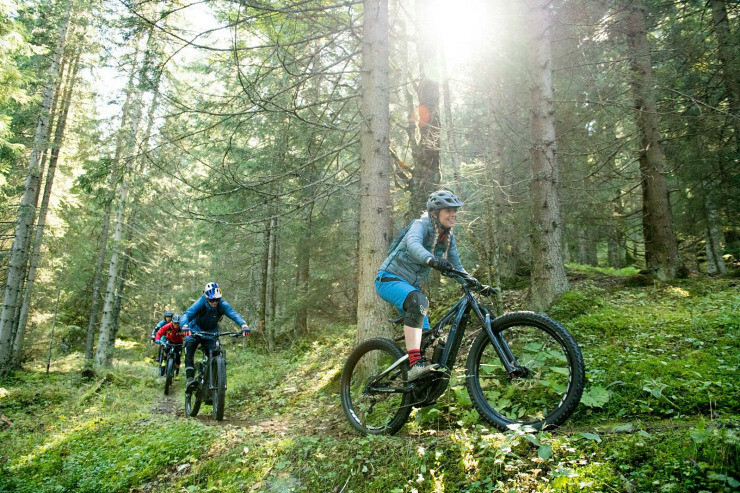 Aiken and I had ridden here in the summer and absolutely loved the flowtrails- like Solden, super well maintained and not surprisingly, built by the same team! 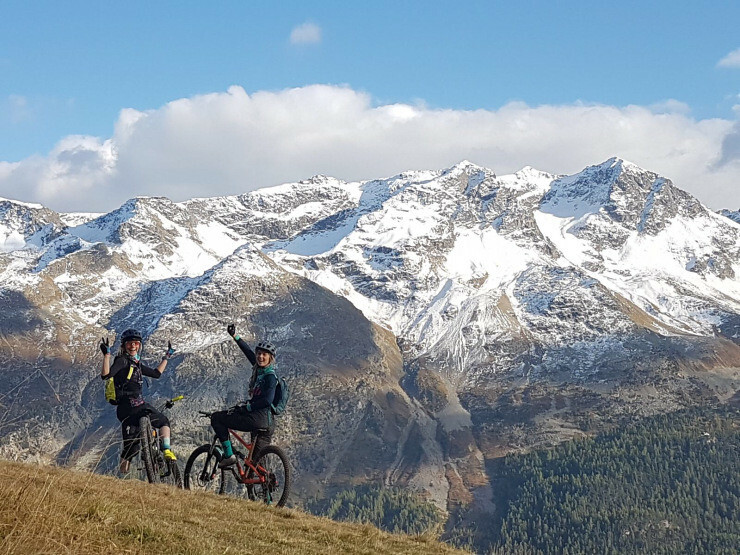 At the top of the Corviglia there are two flowtrails, Corviglia and Olympia flowtrails – both super fun. One takes you back to the funicular and the other you can take down to another trail Foppettas, this is a short but super sweet and definitely in my list of top 10 favourite trails I’ve ridden. Marmot spotting, an awesome guide (thanks Dave), what feels like endless rollercoaster flowtrail fun and the best lunch spot at Alto Bar. Oh we did have ever such a fun day! That evening we went up a funicular to Muottas Muragl for our dinner with the whole gang. We were met with the most stunning views to finish off such an incredible trip! Aiken and I said our goodbyes to Hannah and Martin and the Fullface production crew and then headed back to Munich with Tuuli. What a week ay! For a first time enter of a competition, I think I got mega lucky. Such a sweet week spent riding, hanging out with and meeting some great people. Massive thank you to BMW mountains for the trip and a bigger one to Tuuli for making it spectacular. And thanks to Jan Kasl for the incredible photos.